Home Posts tagged "Frontier Visit"
Lave Radio Episode 214 : Ants invade Frontier Towers! First off, the news of this cross-platform beta for Fortnite is really exciting. As it’s just announced, we’ll be watching with interest to see how it goes! Though we’re excited, we’ve nothing to announce on how this could effect Elite Dangerous in the future. However, you’ll find all the information here on our forums, across our newsletters and social pages should that change. Reddit looking for /r/EliteDangerous moderators. This particular expedition is significant because we aren’t traveling across the galaxy at a pace that would leave someone like me in the dust. I can only put in a few hours a week (when I’m lucky). We’ll be traveling 3kly a week, about an hour and a half of traveling—doable with my schedule. For the first time, I’m actually excited about exploring! Granted, there are commanders in our community who are seasoned explorers. (CMDR Leviticus78 recently completed a circumnavigation of the galaxy that took him out for a year or so). But for many more like me, this is a chance to get my feet wet. Perhaps you could interview some of our expedition organizers on one of your broadcasts. You can visit our discord channel for more information. We can add you as a guest or even as an ambassador for Lave Radio. We even have a channel open to commanders who are just joining us for the expedition. Visit us at https://discord.gg/xWkStAr. Tell them Spidey sent you. 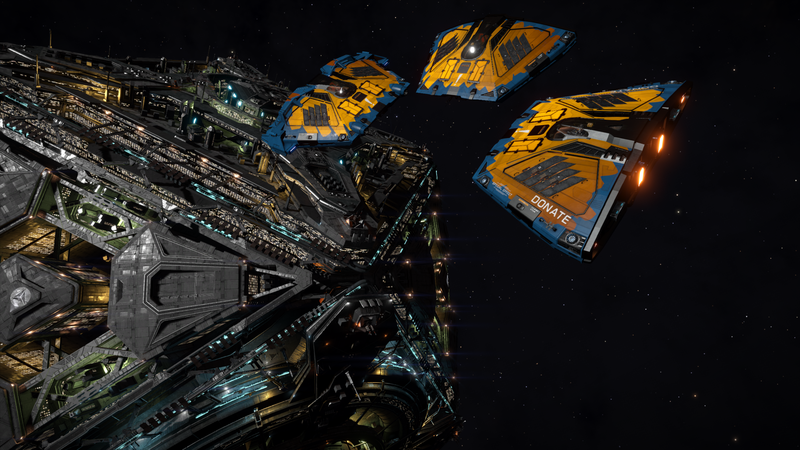 The Hutton Truckers also have a little expedition, setting off the the Formidine Rift on Thursday.